Sleep apnea–partial or total obstruction of breathing during sleep–is an increasing, and largely unrecognized, health problem. Sleep apnea is not just annoying to bed partners, but has enormous negative effects on our hearts, causing early heart disease, heart attacks and heart failure. Sleep apnea is associated with mood disorders, depression and cognitive dysfunction. Sleep apnea is responsible for many motor vehicle accidents. When we think sleep apnea, we think loud snoring. We think obese. We think short, thick neck. We don’t think of kids (in whom people think snoring might be “cute” or normal). And we certainly don’t think of tall skinny kids with long necks who cannot breathe at night and sometimes when they run around during the day. In children, large tonsils and adenoids are to blame in most cases (why these tonsils and adenoids become enlarged has consumed much of my academic research life, but is beyond the scope of this post). In some children and adults, being overweight can increase the risk of having sleep apnea. But that’s not all there is to it, unfortunately.We now have better tools to diagnose the presence of obstructive sleep apnea. The test is an overnight sleep study called a polysomnogram or sleep study. It gives us a lot of information about abnormal sleep patterns, sleep movements, and obstruction of the airway during sleep. We also have better ways of figuring out where the exact obstruction might be. Anywhere from the tip of the nose, to the back of the nose (adenoids) to the throat (tonsils) to the back of the tongue (another type of tonsils called the lingual tonsils) to the larynx (the voice box). 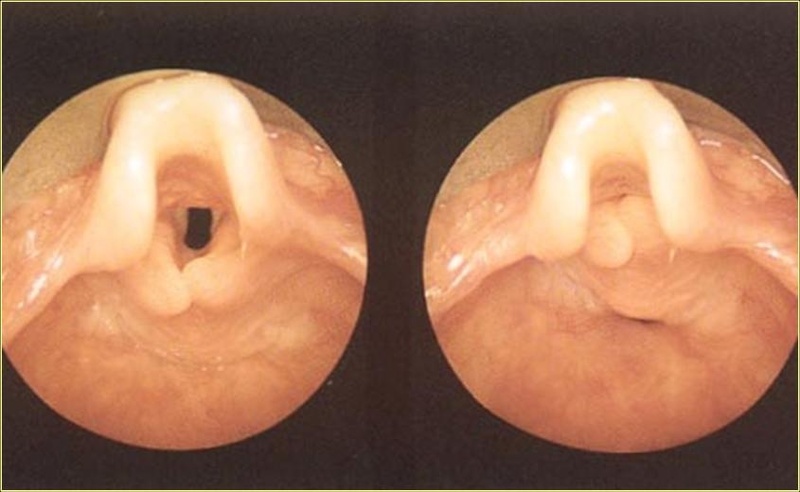 The larynx, also known as the voice box is where we find a new, and highly treatable form of sleep disturbance. This problem is called “laryngomalacia” which in layman’s terms is a “floppy voice box”. Most often associated with infants, we now know that occult (hidden) laryngomalacia can cause signiificant and severe sleep (and sometimes awake) breathing disturbances. Occult (hidden) laryngomalacia is a newly recognize problems in older children and young adults. There is no snoring. Air hunger is reported, the head tilted back in a “kinked back position” and partial obstructions are recorded on the sleep study. After correction, more than one teen reports they breathe better than exercise. Tired, sleepy and even over active children who have very restless sleep, even in the absence of snoring. If you suspect your child, or someone else close to you, has a problem, get a sleep study and then see a ear, nose and throat doctor who understands sleep problems in children beyond tonsillectomy and adenoidectomy. Hopefully the child will get an accurate diagnosis and the problem will be solved. This entry was posted in On the Job and tagged laryngomalcia, occult laryngomalacia, sleep apnea, sleep disordered breathing. Bookmark the permalink. Post a comment or leave a trackback: Trackback URL.